Hypnos Recordings has established the BINARY sub-label to give voice to artists working in forms more kinetic than would have fit with Hypnos. 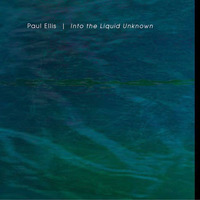 INTO THE LIQUID UNKNOWN by Paul Ellis (best known as 1/3 of Dweller at the Threshold, a group whose new disc OUROBORUS is the other new release on Hypnos/Binary), a bright and distinctive piece of modern electronic music. Those of you who are more interested in true e-music -- shifting synthesizer patterns, beautiful resonances, expressions of the soul of the machine -- will delight in this fantastic, fresh recording. Using a dash of classic European e-music as a reference point, but never for a minute sounding like an artist exploring any path buts Ellis's own, INTO THE LIQUID UNKNOWN supplies that modern synth music "fix" for listeners who remember their excitement at first hearing Wendy Carlos, Jean-Michel Jarre, Synergy, or early Tangerine Dream... but for people who already own all those albums and don't want to hear them re-done. Like the first albums of Alpha Wave Movement and Synthetic Block, this album utilizes just the right limited measure of "classic" and moves on from there to create something new. "Top 50 CDs of all time." "INTO THE LIQUID UNKNOWN is an 'ESSENTIAL ECHOES FOR 2001' selection." "Ellis’ Liquid Unknown is as close to classic Berlin-school electronic music, i.e. Tangerine Dream, and Klaus Schulze, as one can get, without actually being from the Berlin-school. The mechanical sounds of classic analog synthesizers and sequences pulsates on this recording from the beginning and until the end. Fans of Steve Roach’s early rhythmic and sequencer-based work, such as Empetus and Now/ Traveler will verily enjoy Ellis’ Into the Liquid Unknown. This is a fine recording, and for those that have a thirst for German electronic music that has longed to be quenched then this is certainly a disc worthy of your time." "This is the real deal, essential pure blooded sequencer music at its best! Rarely do I get this kind of hit of inspiration from other music where I want to get in the studio and kick start the Doepfer and let it rip. Really Paul, it's a beautiful statement that feels vital and fresh at the same time with the roots running back to historic cornerstones of sequencer based music." 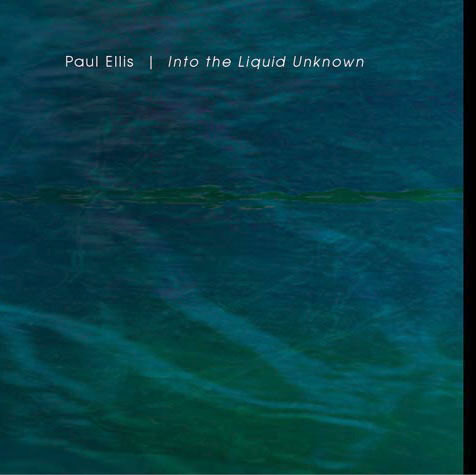 "Paul Ellis is making a music that , while still reflecting his roots, moves into a space that hasn't been trampled. Into the Liquid Unknown is built around analog synthesizer sounds and interlocking sequencer patterns that build into maze-like designs. His lines are clearly etched into black space, rhythms are suggested more than played, with melodic lines squeezing through filters and delays, morphing in endlessly fascinating patterns"
"Ellis, a remarkably talented synth programmer, gives us the silky smooth pads and authoritative commanding e-rhythms associated with good spacemusic. The emotional side comes out too in the albums insightful harmonic selection and progressions. As you listen to any of the pieces on this album you are in the midst of a thought process as Ellis attempts to bring order to the cosmos into the chaos of life. Into the Liquid Unknown was created through the intertwining of technology, aesthetic and individual quality. The relationship between Ellis and his music is a complex one and drawn onto disc for us to contemplate that which is held in the mind of the artist." "An instant classic on first listen"